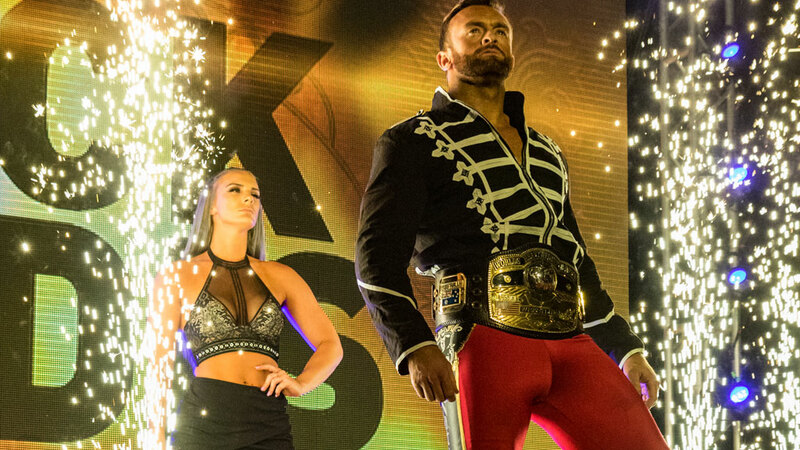 NWA Worlds Heavyweight Champion Nick Aldis defends his title against PJ Black; Villain Enterprises is in action; and Juice Robinson introduces LifeBlood and vows to put honor back in Ring of Honor! The show began with John Skyler, Josey Quinn and Corey Hollis in the ring. 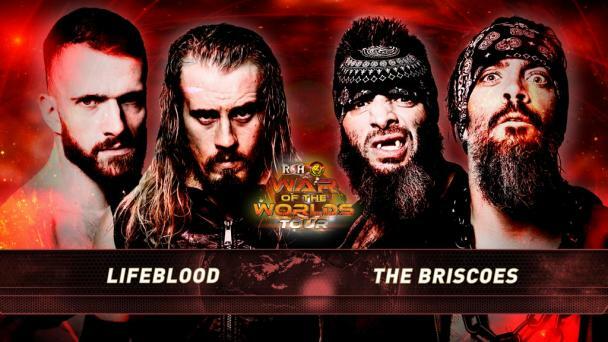 Skyler said that the three of them are the toughest trio in ROH. He challenged anyone to come out and prove him wrong. Villain Enterprises (“The Villain” Marty Scurll, PCO and Brody King) came out. Scurll said he used to be like Skyler, Quinn and Hollis, full of spirit and optimism. He said he’s sure all three of them will be huge stars one day, but it won’t be tonight. He said they’re about to feel the wrath of Villain Enterprises. Villain Enterprises immediately seized control, as PCO dominated all three of their opponents. He missed a dive off the top rope and landed hard on the apron, but he just shrugged it off. Later, Skyler speared Scurll to turn the tide. Skyler, Quinn and Hollis isolated Scurll for a bit, but Scurll halted their momentum with a tornado DDT on Quinn. After King was tagged in, he hit a Gonzo Bomb on Hollis. Scurll then applied the chicken wing to Hollis, who tapped out. After the match, balloons floated up from under the ring. ROH World Six-Man Tag Team Champions The Kingdom (Matt Taven, TK O’Ryan and Vinny Marseglia) appeared on the stage. O’Ryan said The Kingdom is the best trio in wrestling history, and they’d love nothing more than to defend their titles against Villain Enterprises right now. Taven reiterated that The Kingdom will defend their title anywhere, anytime -- just not tonight. Backstage, Vinny Marseglia said that PCO is indeed human. TK O’Ryan said that if he hits PCO in the head with his baseball bat, he will get knocked out just like everyone else. Matt Taven said The Kingdom is in control and they will defend their ROH World Six-Man Tag Team Titles when they feel like it. In a backstage interview, ROH World Champion Jay Lethal said it’s getting more difficult to keep track of all the competitors who want a shot at the title. He referenced Matt Taven running around with a fake belt, claiming to be the real world champion, attacking him from behind and spitting on the belt. Lethal said that Taven has his attention. After a stalemate early in the bout, Kamille distracted Black, which allowed Aldis to seize the advantage. Black rallied with a flurry of offense and hit a double stomp off the top rope for a near fall. Black went to the top rope again looking to hit a moonsault, but Aldis knocked him off and Black straddled the top turnbuckle. Aldis followed with a German suplex off the top rope for a near fall. Black came back with a super hurricanrana, but an arrogant cover allowed Aldis to kick out at two. Aldis hit a Tombstone piledriver and followed with an elbow drop off the top rope, but Black kicked out. Kamille tossed the belt into the ring. When the referee went to Kamille to warn her about interfering, Black picked up the belt, tossed it to Aldis and laid down on the mat like he had been struck with the belt. While Aldis pleaded his case to the referee, Black rolled him up for a near fall. Later, Black went for a baseball slide through the middle rope, but Aldis moved and Black inadvertently nailed Kamille. Aldis went on to trap Black in the Cloverleaf, and Black tapped out. Robinson stood in the ring and said that he has had something in the works for a while now, and tonight all the pieces to the puzzle came together. He said that ROH was founded by guys like Samoa Joe and AJ Styles, and the lifeblood for ROH has been the hard work of guys like Bryan Danielson and Tyler Black. He said those guys cared about honor and respect. Robinson asked where they honor and respect in ROH has gone the past couple years. 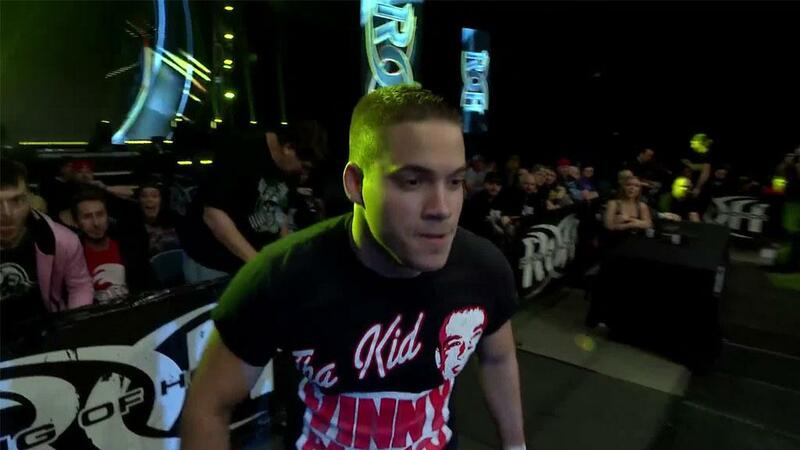 He said tonight the reset button on ROH is being hit, and ROH will be brought to the next level.